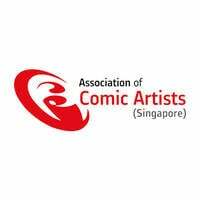 The Association of Comic Artists (Singapore) is a non-profit organisation formed in 2005 by a group of Singapore-based cartoonists with published works in their portfolios. The association is a platform for members to get their stories published within compilations such as writing, pencils, inks, colours, tones, and letters, promoting shared knowledge and inspirations. They also carry out various art lessons and workshops at educational institutions and pop culture events.